Flo Rida stopped by Chicago WGCI's Coca Cola Lounge to discuss his second release R.O.O.T.S. hosted by WGCI radio personality Tony Sculfield. 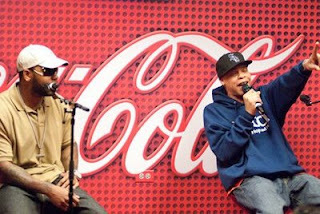 The Coca Cola Lounge was filled with lucky fans that had a chance to meet, get autographs and have pictures taken with Flo Rida. Flo Rida talked about the new album and what it took to get to the top. Flo Rida is on tour performing this weekend in Chicago.